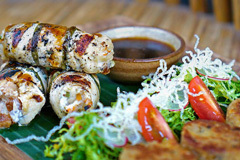 Ubud’s New Iconic Modern Cafe & Pan-Asian Eatery has been born, adding one more distinctive colour into Bali’s food scene. The new dining and coffee destination aims to be the best cafe in Ubud, the iconic cultural tourism destination on the island. 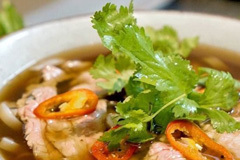 Serving Pan-Asian cuisine with a range of dishes inspired by authentic Southeast Asian street food flavours where you can expect staple breakfasts and lunches at their best. The menu also includes options of healthy food and drinks made with passion. 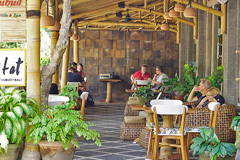 Nestled precisely on the opposite of Ubud’s spacious central parking and only a few steps away from the famed Monkey Forest’s main gate, Habitat Café is easy to reach, whether you come with a car, motorbike or walking. The place is designed to offer a relaxing modern tropical dining experience with terracotta, wood and bamboo elements. 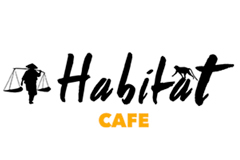 The name Habitat was chosen to celebrate Ubud as a vibrant melting point of humans, the nature and the spirituality, which perfectly portrayed in the area where the café is located.